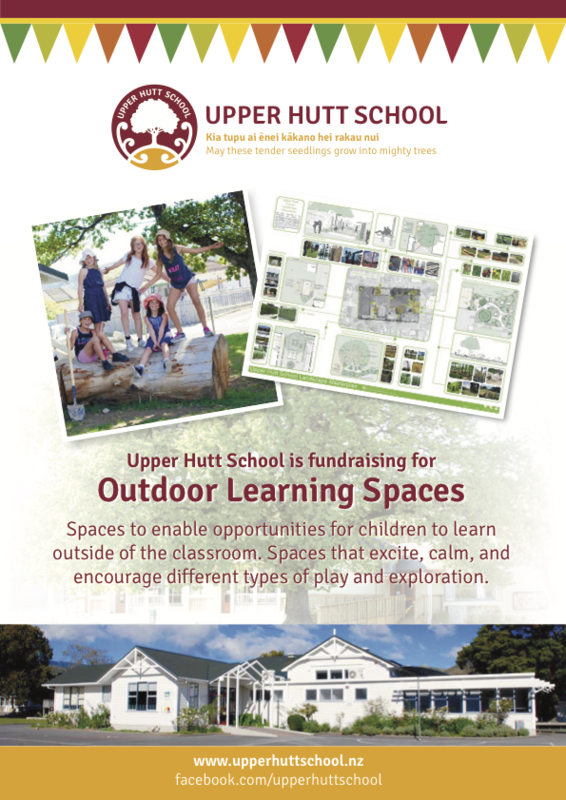 In 2017 Upper Hutt School created a fundraising focus on the development of outdoor learning spaces – spaces to enable opportunities for children to learn outside of the classroom, too. Spaces that excite, calm, and encourage different types of play and exploration. Thanks to the dedicated support of our school community and the generosity of our sponsors, Upper Hutt School Fundraising Team had raised over $53,000 over the last two years! These funds have been proudly invested in a large covered sandpit and stage, a wonderful sensory garden and play space along with a shade sail. One of the learning outcomes for the school this year is to develop children’s curiosity. We wish to support them by raising funds to further enhance outdoor learning spaces, along with resources for the arts and science. Our target has been set to raise $20,000 during 2019. We have planned a calendar of fundraising events, based on past events our school families and wider community have enjoyed and supported. We know that raising funds is a huge undertaking for our school, community and Fundraising Team. We have reached out to many many businesses local and New Zealand wide to help support our events, and increase our funds raised. We are thankful that we have had so much support over the last few years. You can see the details of these wonderful businesses on our Community Sponsorship page. We are also diligent about reaching out to raise funds from our wider community, which is why we have introduced events such as the Outdoor Movie Matinée and the Fiesta to reach further afield.